The Chinese primary school ‘Hengde’ had the brilliant idea of building a water ecological learning field to enable kids to learn about water conservation and ecology through games and other hands on activities. Following the Eco-Schools Seven Steps, the project was implemented by an International Ecological Commission of pupils from grades 1st to 5th. The water ecological learning field included a series of actions and activities: the installation of spray nozzle on taps to reduce water consumption, a drinking water recovery system and the re-built of the draining system. The latter is of particular importance, as it allowed the schools to have an irrigation mechanism for the small 1-square-meter farms installed in front of each class. Through the creation of micro wetlands, pupils had fun, while learning about purification. In these wetlands 54 species of plants and 11 species of aquatic plants were planted, and 9 species of aquatic animals introduced, so as to create a food chain network and improve the biological purification effect. This complex and creative project has contributed and is contributing to the increase of pupils’ awareness on the issues of excessive water consumption and water saving, while allowing them to learn new methods to save water, to get teamwork skills, and enhancing their consciousness of environmental issues in general. Thanks to it, kids can make water-saving devices in groups or independently, and most of them have a preliminary understanding of the principles of some water-saving devices. Did you know that you can grow vegetables and fish at the same time? Aquaponics is a farming method that allows you to grow vegetable and fish together. This system is gaining momentum in the farming industry as an efficient and sustainable way to produce food, which consists of a combination of aquaculture and hydroponics that grows fish and plants together in a symbiotic environment. Hence why the Loreto College Curepipe from Mauritius has decided to experiment it and use it in an educational tool, involving more than 50 students aged 11-18 into the project. The outcomes of the projects were numerous: students learnt valuable scientific concepts and gained practical technical knowledge, useful for their working future, they were confronted with sustainability issues, such as sustainable food production. Teachers also benefited from this activity, learning new hands-on teaching method and how to integrate global trends into their teaching activities. This project does not only fit perfectly in the school curriculum, but also has a strong link with the SDGs. In fact, it encompasses sustainability concepts such as food scarcity, food security, social inclusion, decent standards of living, urban farming. The use of aquaponics as an educational tool, also helps the students learn valuable scientific concepts, linking it with SDG 4 (quality education). Electric vehicles appear more and more in numbers but insufficient charging stations are causing problems. 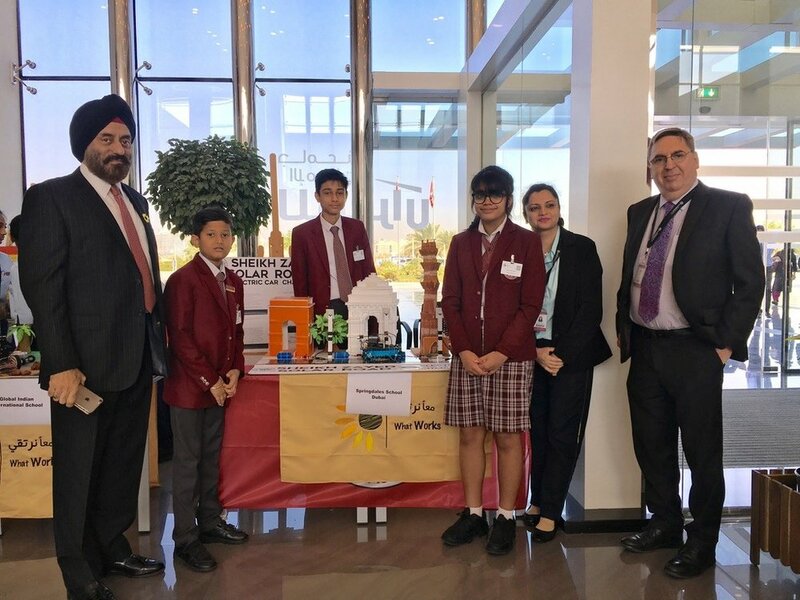 How can you charge an electric vehicle in a way that it is environmentally friendly and easily accessible, asked Amay Mahajan ( Grade 7), Rushiil Kiran (Grade 8) and Simar Singh (Grade 8). Wireless charging of cars. The group of students successfully imitated the coil method to excite the positive and negative charge of the energy coming from solar panels. Placing of working solar panels on a miniature model of a road, with charging schemes and materials needed to support the weight of vehicles passing by. A battery collector was attached to keep the project working during the night too. The ‘Solar Road Electric Car Project’, supported by the Knowledge and Human Development Authority and the Emirates Aviation University Dubai, aims to present a future plan for a clean source of energy to charge the battery of electric cars in Dubai. The feasibility study conducted by students and shows that a 20-minute driving in the solar road can charge the car’s battery by 30% using a special wireless conduit and circuitry that can be installed in the electric car. eTwinning is an Erasmus+ Project aimed at connecting schools from different countries, encouraging them to work on common projects. The theme of this year was ‘Cultural Heritage’. 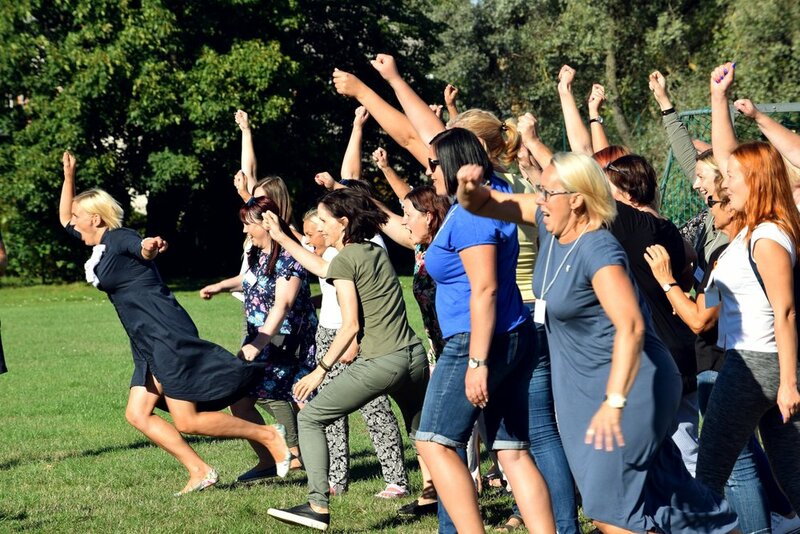 Eco-Schools Global was represented at the eTwinning Conference 2018 in Poland by Marvic Refalo, from Eco-Schools Malta. 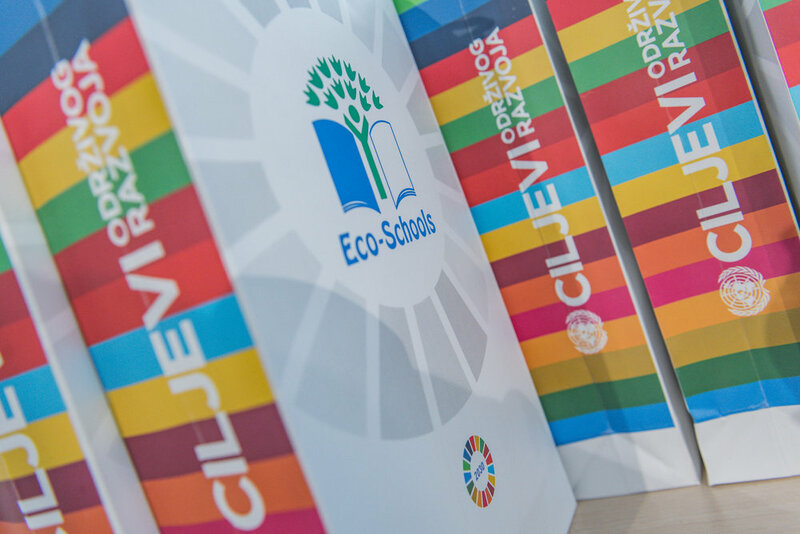 Marvic held a workshop on ‘Cultural Heritage as an Eco-Schools theme combined with the SDGs’. 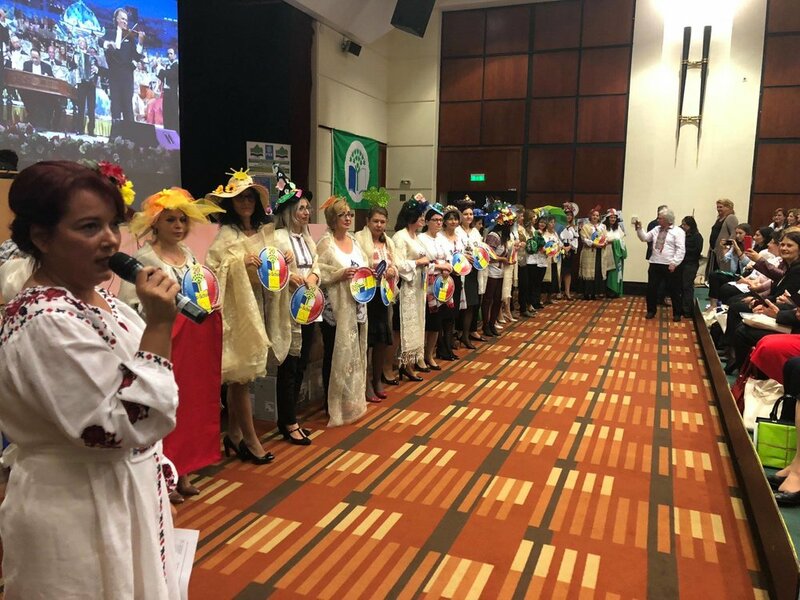 The conference represented a possibility to share the educational programmes and the values of FEE, particularly of Eco-Schools, with other schools and committees, and to get comments and feedback. Marvic engaged the attendees with stories of cultural heritage projects of Malta and South Africa and explained the Seven-Step methodology. The workshop presented cultural heritage as a crucial element of education, contributing to the achievement of the SDGs. A lot of participants showed their interest in becoming part of the Eco-schools programme. As a result of the presentation, and as students’ empowerment and democratic participation are a fundamental part of the Seven-Step process, Eco-Schools was invited to hold a workshop at the next eTwinning conference in 2019 on Democratic Participation. Bureau for Education Services of Montenegro, in cooperation with the UN System in Montenegro, organised the first Award Ceremony of Green Flags and Certificates for acquiring the International Green Flag status. 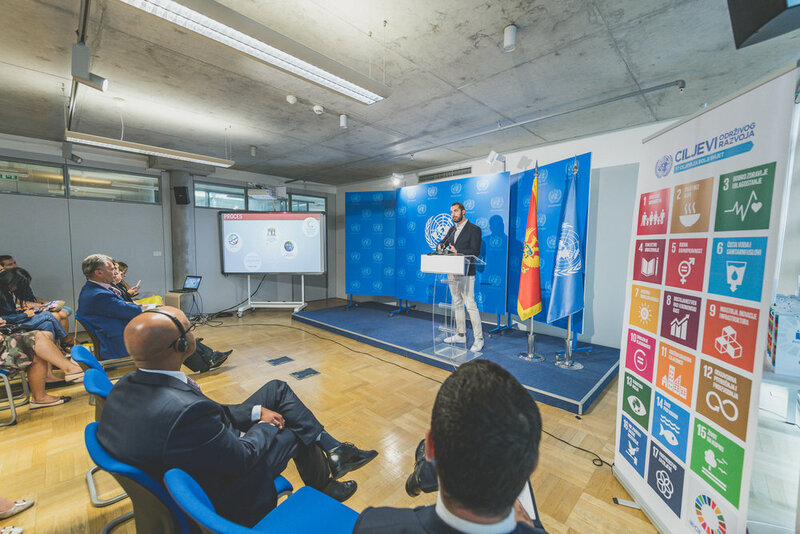 The event took place at the Eco UN building in Podgorica on 20th September - Day of the ecological state of Montenegro. Mr. Aleksandar Mitrovic, State Secretary in the Ministry of Education of Montenegro opened the event, and address speeches followed by Mrs. Fiona Mekluni, Coordinator of the UN System in Montenegro and Mr. Rešad Sijarić, Director of Bureau for Education Services of Montenegro. Bureau for Education Services of Montenegro joined the Eco-Schools family through its FEE membership in 2016. At this year's call for Green Flag applications, 17 educational institutions applied. All of them have been implementing the Eco-Schools programme since September 2016. All registered institutions went through the process of accreditation in May and June 2018. The accreditation was conducted by teams of the National Committee for the implementation of the Eco-schools programme composed by representatives of the Bureau for Education Services, Ministry of Education Ministry of Sustainable Development and Tourism, the Centre for Vocational Education, ECOM and UNDP. International Eco-Schools Merit Certificate, for outstanding contribution to the Eco-Schools Programme, showing commitment towards ESD by continuously improving the environmental performance of the school and the wider community, this year goes to Primary School “Radoje Čizmović”, Nikšić. In order to explore and popularise the biodiversity of Atanasovsko lake, students from the Eco Club "Captain Planet" at the "A.G. Kodjakafaliyata" Primary School in Burgas, Bulgaria in partnership with the Bulgarian Blue Flag Movement and Bulgarian Biodiversity Foundation, realised their volunteer student project "My Atanasovsko Lake". They developed an audio guide through QR codes in Bulgarian and English. The audio files in the audio guide were divided into five different themes: Man and the Lake, Lagoon, Mud and Sea, Migration and Birds, All about the Lake, Salt and Salt Production, narrated in an interesting and attractive way by the students. Stickers with QR codes were posted in various public places in the Sea Garden and the city of Burgas. For a year, the students from the school participated and developed several environmental projects and were awarded with the Green Flag. CTEET (Cape Town Environmental Education Trust) supports over 30 registered Eco-Schools across Cape Town. The majority of these schools are from low-income, disadvantaged communities on the Cape Flats. This year, for World Cleanup Day, CTEET partnered with WESSA to host a beach cleanup in Muizenberg, Cape Town. Around 200 people attended the event, including over 120 learners from 9 of our supported Eco-Schools. CTEET feels that it is very important for the learners to get involved in action days such as this because it gives them a chance to actively play a role in environmental protection. It also drives home the real-world impact of some of the things that they are learning about – like the harmful impact that plastic has on our marine life and the effects of littering. This is especially significant this year as CTEET has run a number of educational day programmes around issues such a waste, plastic pollution and water with our Eco-Schools. 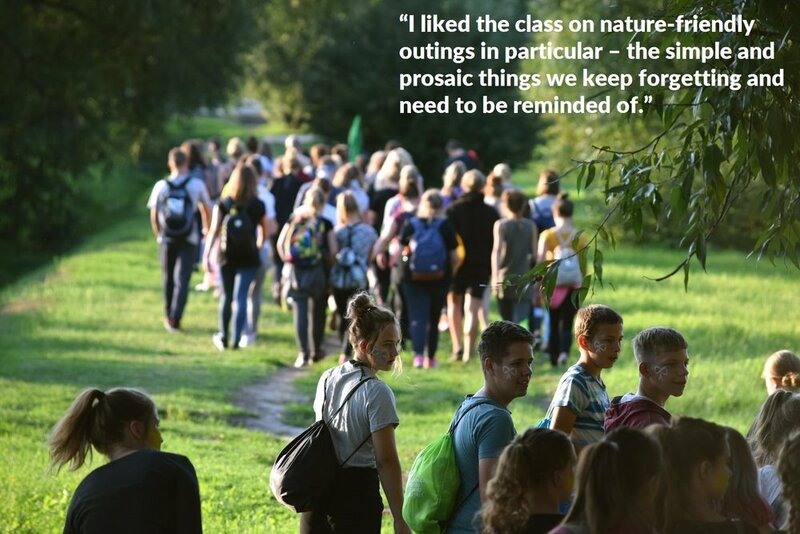 Joining forces with a big group of other environmentally-conscious peers and role models also inspires the young environmental champions to keep standing up for nature. We worked on about a 2km long stretch of beach, and the learners spend about 1.5 hours actively collecting waste from the beach. The item that was most found was cigarette butts, followed closely by straws and bottle tops. Interesting finds were a dead gull caught in fishing gut, a TV screen and a whole tyre. It is truly a family affair at Downpatrick Nursery School in Northern Ireland (NI). This year marked a landmark moment for Eco-Schools when Downpatrick Nursery School, the first school in the world to be awarded an Eco-Schools Green Flag in 1994, became the first school in NI to be awarded its 10th Green Flag, making it a national leader in sustainable education. Three generations of the Rutledge family, who have been involved at the school from the start, celebrated the moment. Catherine Rutledge parent to Alan, pupil at the time of the first flag, has worked at the school for a further 8 flags and Eboni, Alan’s daughter, is a current pupil. "I had no idea all those years ago that we were the first school in the world to achieve this award!" "The 'green' theme has become an integral part of our school life"
Today the high standards are still being honoured and children are actively encouraged to promote environmental ideas and action plans to benefit not only the school but also the wider community. On 17 July, the Bahamas Reef Environment Educational Foundation (BREEF) and the Royal Bahamas Defence Force (RBDF) celebrated the ending af an impactful six-day Marine Conservation Workshop with a closing ceremony at the Coral Harbour Base. The event shows the commitment of the Government of the Bahamas to protecting its limited naturaI resources. The Minister of National Security also attended the initiative and highlighted the growing initiatives the Force has been assisting with, since the formation of its Environmental Conservation Office in 2017. BREEF Executive Director, Casuarina McKinney-Lambert, expressed her satisfaction for the partnership with the RBDF to promote the conservation of marine environment. "Knowledge is power and we now have an interdisciplinary group of workshop participants from law enforcement and education who are empowered to share this information that they have gained with their colleagues and students, and bring about change. Everyone has a role to play in sustaining our oceans." The primary focus of the workshop has been to help members of the Defence Force and fellow law enforcement officers understand marine environment, the laws that govern it and the science behind the policies to better implement enforcement strategies. Partnerships and coordinated approaches are essential to increase effectiveness and reduce duplication of efforts. Law enforcement personnel and educators were selected across a range of the public service and secondary schools from around the country. The interdisciplinary course provided participants with opportunities to study island ecosystems from a hands-on, systems perspective within a week-long residential field-study programme at the RBDF Base. Participants took part in classroom activities, guest lectures, and field studies to nearby marine protected areas including Bonefish Pond National Park and the South West Marine Managed Area. "This workshop was truly an eye opener for me and brought greater awareness of our marine life and the challenges we face with enforcement, not only locally but internationally. I was open and excited to absorb all that I could in the workshop." BREEF is the nonprofit organisation accredited to implement the Eco-Schools programme in the Bahamas. It has been conducting marine conservation teacher training workshops since 1995. In 2017 BREEF met the goal of having at least one BREEF-trained teacher in every school across the expanse of the Bahamas. The Earth Charter Initiative is a global movement of organizations and individuals that embrace the Earth Charter and use it to guide the transition towards a more just, sustainable, and peaceful world. The Earth Charter Center for Education for Sustainable Development and University for Peace are offering an International Professional Development Programme on Education for Sustainable Development. This 5-month long course is an excellent opportunity for Eco-Schools Coordinators, teachers and everybody working in the field of Education. 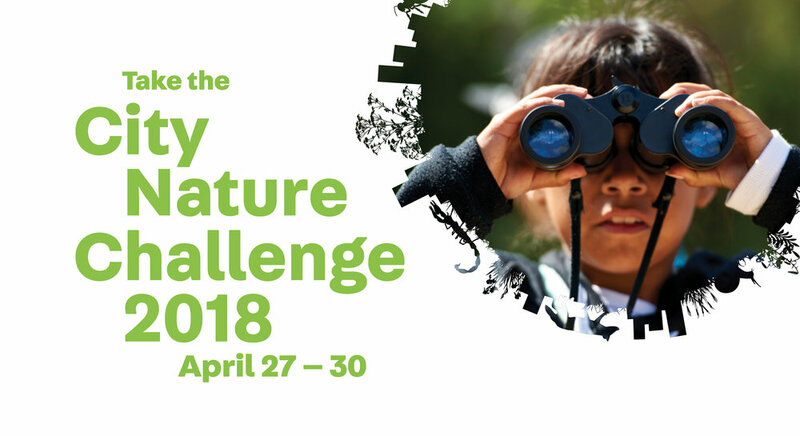 This unique programme seeks to strengthen the capacities of educators to integrate the values of sustainability in their areas of action and develop educational programmes that promote a new awareness towards the environment and sustainable lifestyles. Through the programme, educators would improve their skills to implement Education for Global Citizenship in their work, providing a space for dialogue and a professional update on pedagogical processes of transformative learning that respond to the new guidance and educational needs in this area. The programme will also offer a special space to look into the UN Sustainable Development Goals. The Certificate Programme is aimed at K-12 teachers (primary and secondary educators), education professionals, and academics in different areas and levels of education. 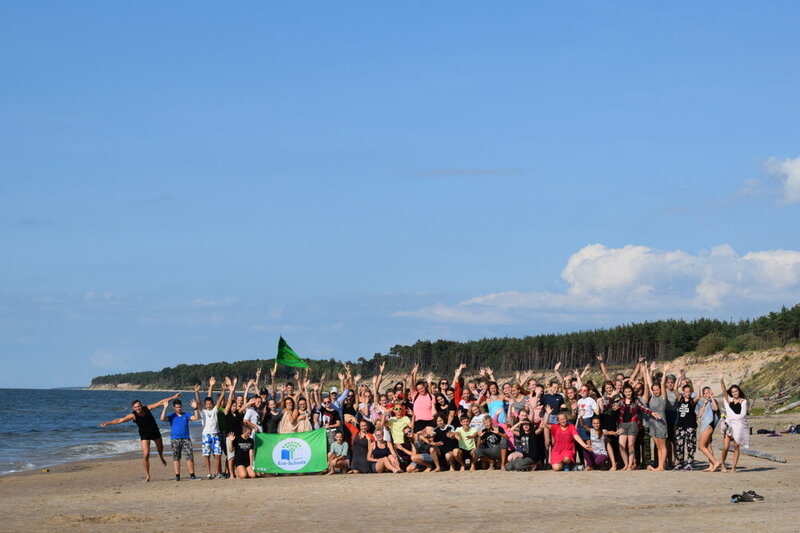 On 8 June, to mark the occasion of World Oceans Day, the students of the British International School of Stavanger in Norway attended class on the beach. 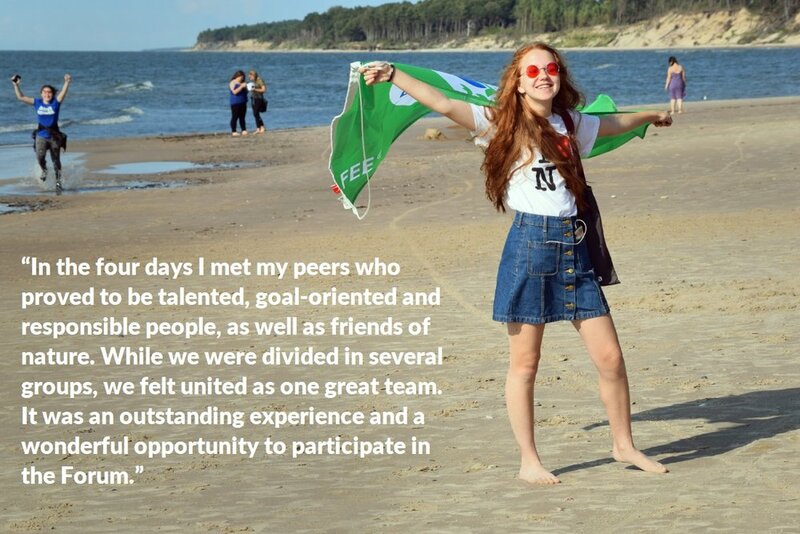 The students organised a great beach clean-up, followed by reflections and an analysis of what they found. They shared great knowledge when discussing different topics including plastic pollution, bioaccumulation and micro-plastic in everyday consumables. The pupils also wrote poems about the sea, learned about the tides and listened to the sounds of different species under the water. The school arranged a drawing competition in line with World Oceans Day, where the winner would get his/her drawing on the school's World Oceans Day t-shirts. The students had an exciting and educational day about the sea and everything that lives there. We encourage other schools and kindergartens around the world to do the same! On 11 May, Eco-Schools students at St. Mary's Catholic Primary School in Maidenhead, England were joined by British Prime Minister Theresa May for the launch of the Great Plastic Pick Up. The Great Plastic Pick Up is a campaign created by the Daily Mail and FEE National Operator in England Keep Britain Tidy with the goal to "turn the tide on plastic." From 11-13 May, 12,000 volunteers at 1,100 sites across the United Kingdom removed tonnes of plastic and other litter from the UK's streets, beaches, and beauty spots. Theresa May's visit was not the first time that St. Mary's has been singled out for its commitment to environmental education. On 13 March, the school was chosen from among hundreds of nominees as the winner of The Greenest School Award at the first ever Green Heart Hero Awards ceremony at the Houses of Parliament in London. The school has also been awarded five green flags over the course of its ten years of participation in the Eco-Schools programme. St. Mary's was not the only Eco-School to get involved in the Great Plastic Pick Up. Many Eco-Schools students from the 18,400 registered Eco-Schools across England organised their own litter pickups in conjunction with the campaign. In an effort to further expand its environmental education curriculum, Eco-Schools England will launch the Marine and Coast theme on 4th June. Since plastic pollution poses a significant threat to the environmental health of marine and coastal zones, the Great Plastic Pick Up was an opportunity for Eco-Schools students to get an early start on activities related to the Marine and Coast theme. Check out the hashtag #GreatPlasticPickUp on social media to see some of their activities. Taking part is easy! Check the details here!